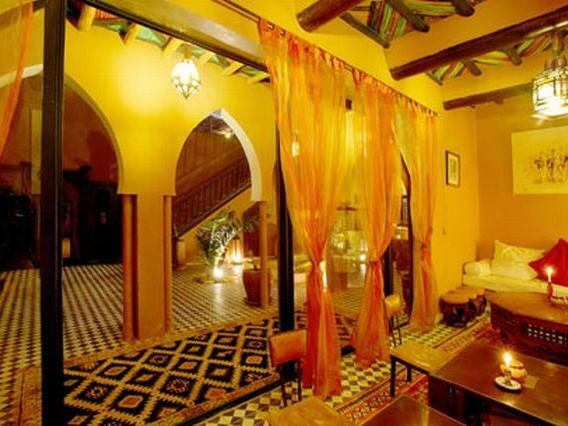 Kasbah Ellouze - Luxury Riad in Marrakech, Morocco. 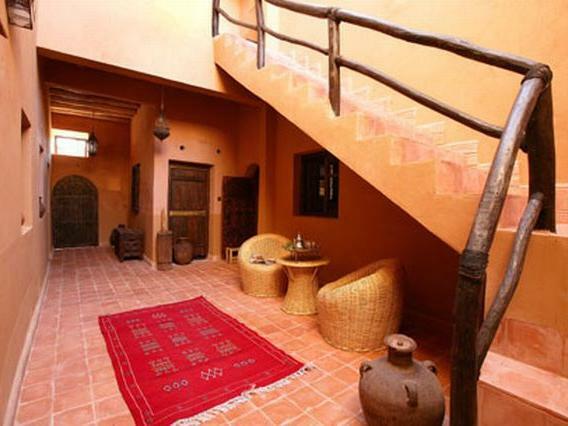 Book Kasbah Ellouze Today with Hip Marrakech - specialists in English Speaking Accommodation in Marrakesh, Morocco. "a panoramic view from the terrace overlooking gardens planted with almond and olive trees." 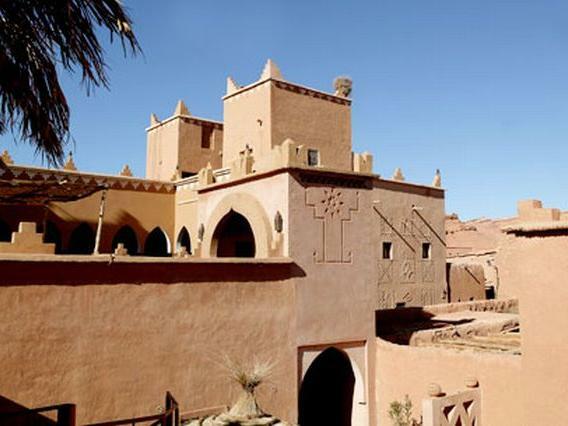 Ouarzazate Live like a Pashah at Kasbah Ellouze. It is nestled in a little traditional village with fabulous views. Here you are in old true style Morocco and you feel you are in the Kasbah of the village, the Castle. 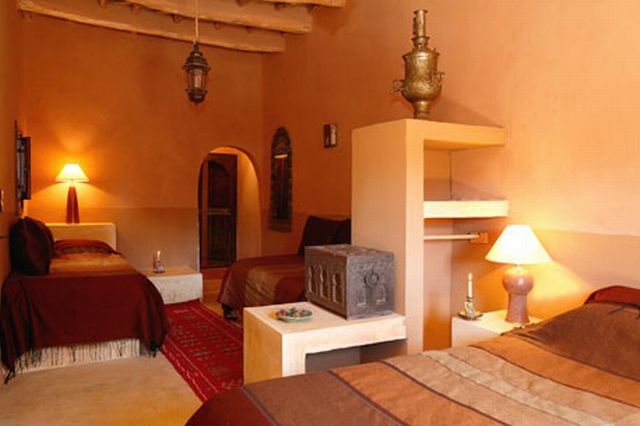 The Kasbah has 10 bedrooms or suites and is situated next to Tamdaght, the ancient dwelling of the Glaoui, once the Seigneur of the region, and now inhabited by stork's nests. 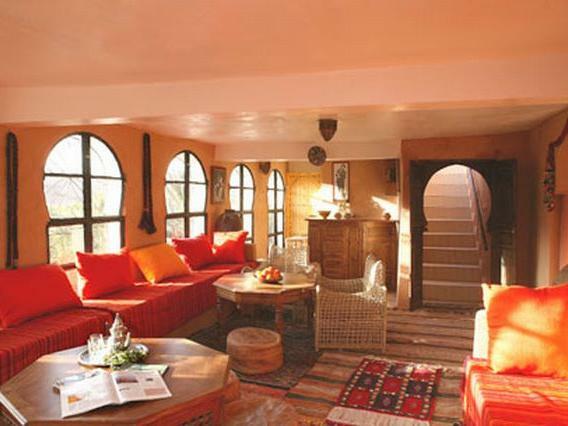 In the tradition of the region, the Kasbah Ellouze is built of mud and brick. 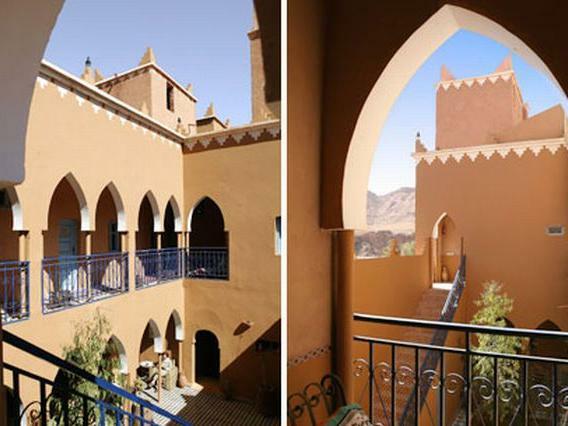 A superb Kasbah with a panoramic view from the terrace overlooking gardens planted with almond and olive trees. 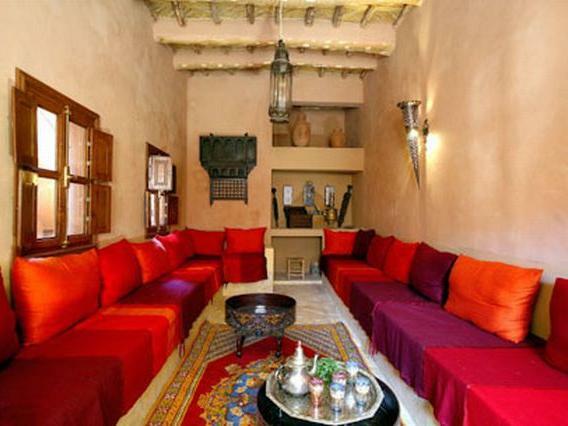 The service is fantastic with the owners resident on site and the property is the perfect size, big enough to experience the grandeur of a traditional Kasbah yet small enough to be intimate and welcoming. Please Note: All rates are based on 2 people with half board (breakfast and dinner). The Standard double rooms are authentic and simple with air-conditioning and ensuite bathroom. This room can accommodate 4 persons it has 1 double and 2 single beds - a supplement of 20 or 30 euros per extra bed. The Suites are more spacious, authentic and simply styled with air-conditioning and ensuite bathroom. 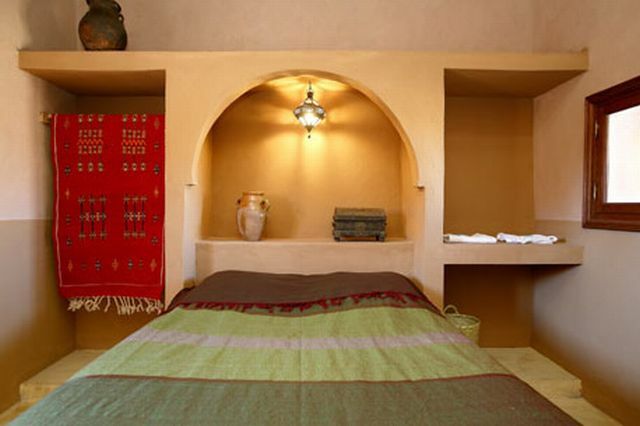 These rooms can accommodate 3 or 4 guests with a supplement of 20 or 30 euros depending on age. 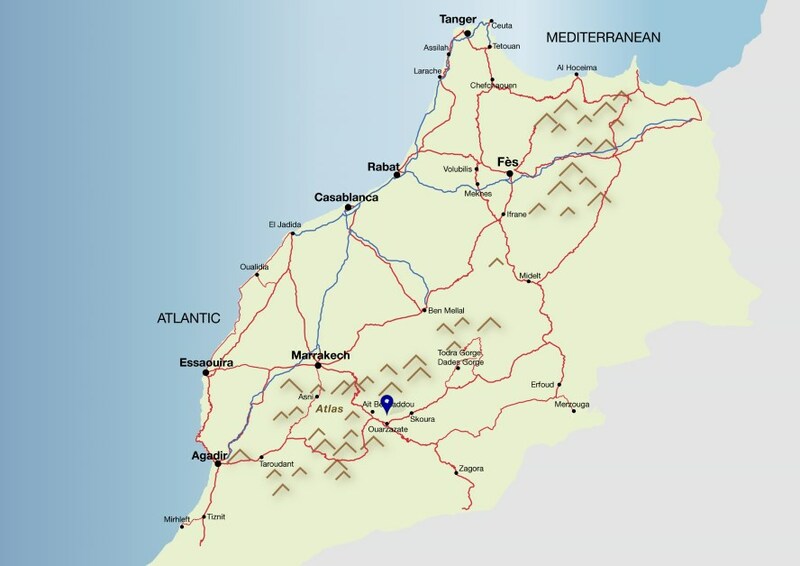 The base rate price at Kasbah Ellouze is in pounds, euros, or Moroccan dirhams and exchange rates are approximate. Best Price Guaranteed! All prices match or are lower than those charged directly by Kasbah Ellouze. We can check availability at Kasbah Ellouze for you, process your booking and assist you in finding alternative dates and accommodation if your first choice is already taken. 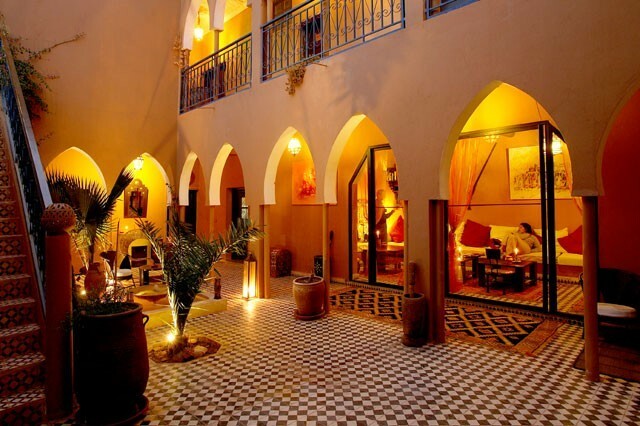 Every member of our team has expert knowledge of each riad including Kasbah Ellouze and can provide more information about the rooms, the location and how well suited it is to your specific requirements.